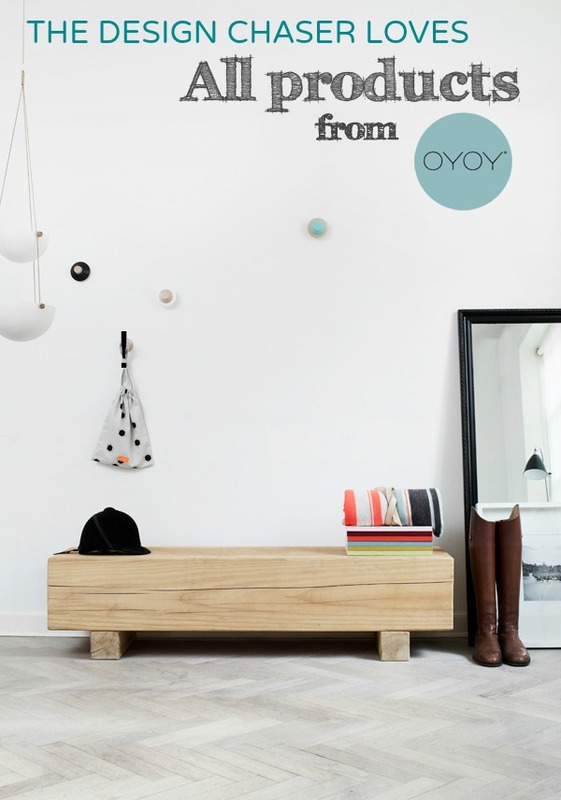 When it comes to interiors I can't get enough of Danish design, so I was thrilled to discover OYOY, a new interior design company from Denmark. 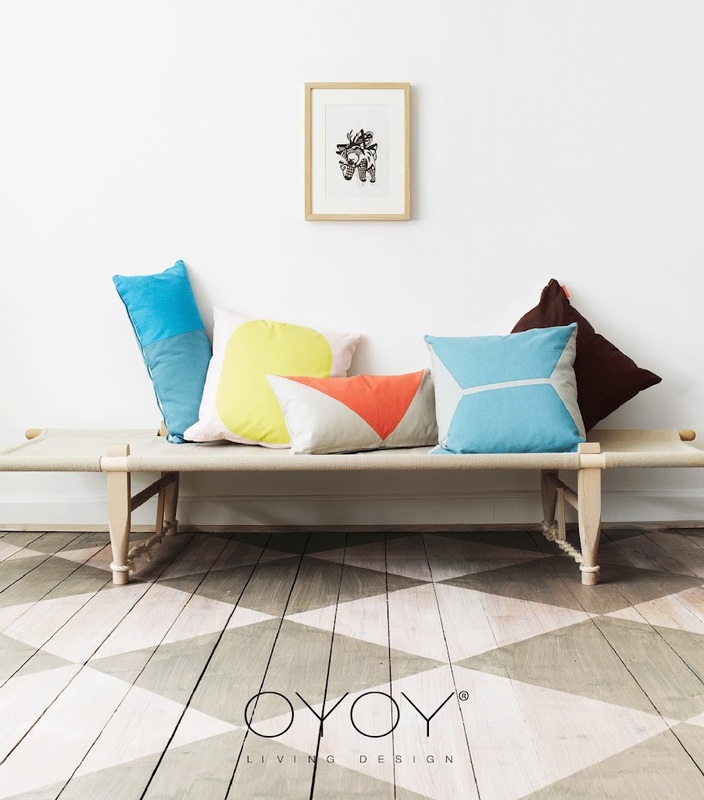 Inspired by the letters OY, which have appeared on every Danish aeroplane since 1929, the name and products are quickly catching on and have started doing the rounds in the blogosphere. Not surprising when you see how gorgeous the designs are. 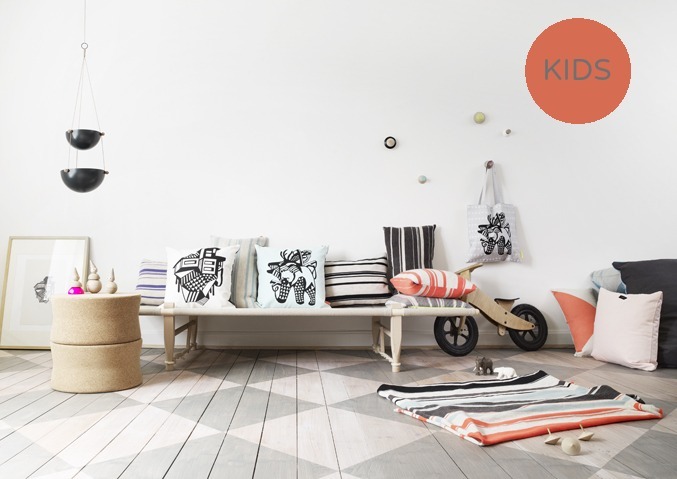 Inspired by both classic Scandinavian style and simple Japanese design, talented designer Lotte Fynboe combines shape, graphics, colour and high quality materials. 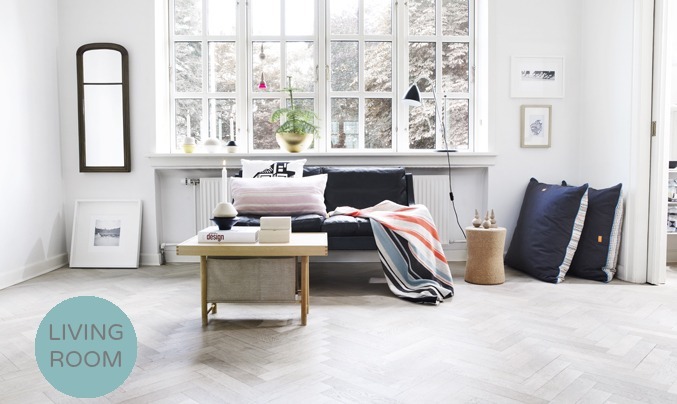 The resulting products are simple, functional and truly exquisite. Did I mention the Incredible styling? 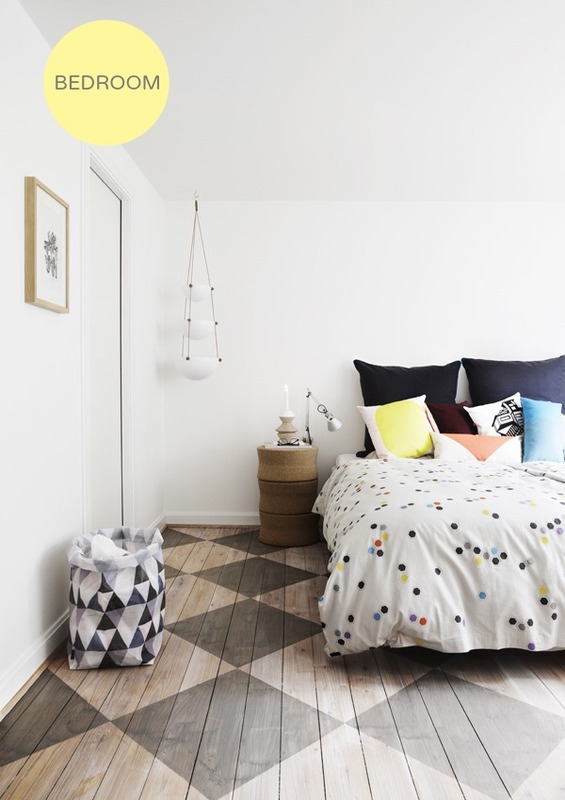 Love the geometric patterned floor. Polka dots get me every time, so I'd really like that duvet cover, and of course a few of those scrummy cushions. 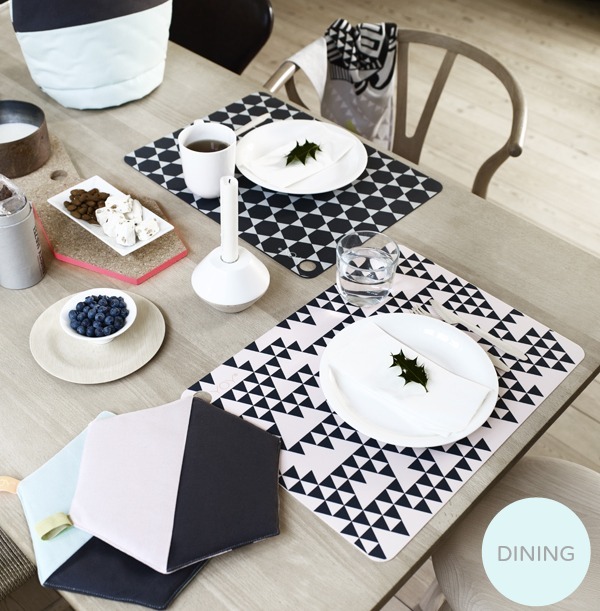 To see the full range, take a look here.